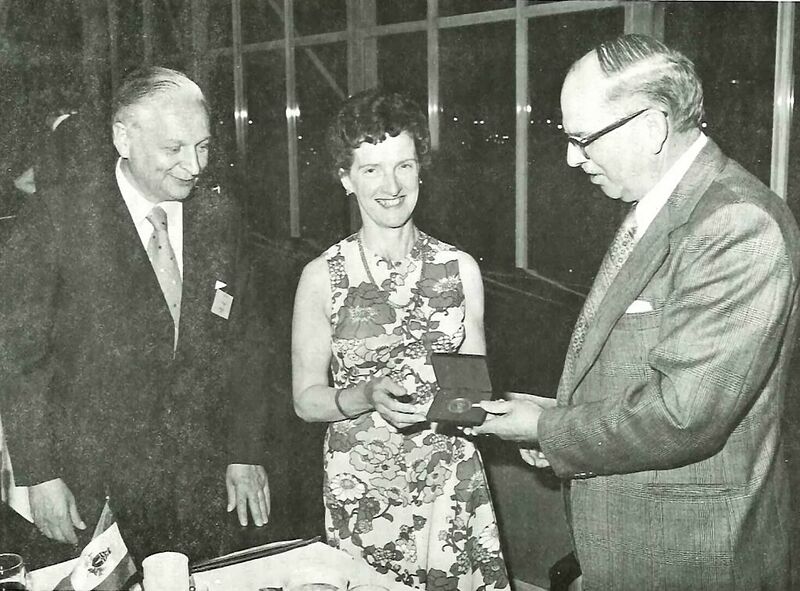 Left to right: Dr. Walter Hitschfeld, President CMS, Helen Hare and J.R.H. Noble. Mr. J. R. H. Noble, Assistant Deputy Minister, AES, awards the Patterson Medal to Dr. Kenneth F. Hare. 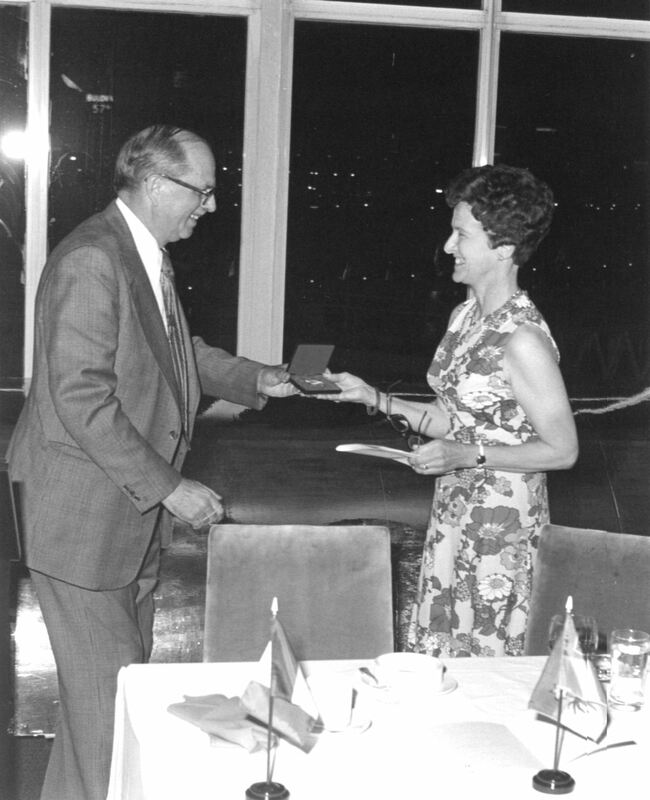 Helen Hare received the award for her husband who was in Nairobi representing Environment Canada.